2018 was a great year in gaming, with major releases coming from a host of companies like NetEnt, Playtech and Microgaming. With so many huge releases and big names in the gaming industry last year, it is difficult to pick the best games. It was an exceptionally remarkable year that featured more online casinos accepting new forms of payment including Apple Pay and Bitcoin. Also, there was a huge increase in the rise of VR games. This list was created with three major factors in mind; game quality, popularity and winning potential. The winning potential was influenced by factors such as the return to player (RTP) and the availability of bonus features. In 2018, players got to enjoy captivating graphics, progressive jackpots, multipliers, wilds, scatters, and bonus rounds with each company trying to outdo the other. If you are a newbie or someone just looking to have fun with new games, we have picked a list of five games that we think were the best in the year 2018. You can never go wrong playing one of these games and while your favorite game might not be included in the list, do know that this list is not arranged in any particular order. In general, we think the best five games of 2018 are; Jumanji, Berry Burst, Extra Chili, Afterlife and the best VR game release, Gonzo’s Quest VR which is one of NetEnt’s favorite games. These are the top 5 slots of 2018 that caught our attention. A lot of the slots included in this list are video slots. 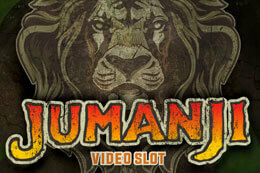 Developed by NetEnt, Jumanji is one of the best video slots released in 2018. Jumanji came out with lots of extra features that you will hardly find on any other game. Inspired by the popular movie, Jumanji takes you through the world of adventure, magic and fun. 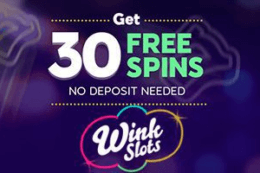 This game has 4 different free spins bonus features that can be won during the dice roll feature and they also can be randomly triggered in the base game. With a high return to player rate of 96.6%, there is always a positive chance of winning. While this game might remind you of IGT’s Siberian Storm because of the form of the reels, remember that Siberian Storm has 720 paylines while Jumanji has only 36 paylines and Siberian Storm doesn’t compare in graphics. We explain this further below. Jumanji is a five-reel, thirty six payline slot with geometric reels that are 3, 4, 5, 4, 3 symbols high from right to left. The game is playable on all devices including smartphones from €0.10 to €100. In 2018, a Jumanji movie was made featuring Kevin Hart and Dwayne Johnson. However, Jumanji is inspired by the classic movie from 1995 with the same name, not the latest released version. Jumanji centers around a big board game with lots of magical powers and with every roll of the dice, very strange things happen. The Jumanji online slot includes four random features with re-spins, symbol rearrangements, sticky wilds, and wild reels, but like every other online slot game, it all comes down to the extra game bonuses which we will talk about further below. Jumanji is a busy slot with four randomly triggered features that can appear in the main game: Re-spins and Sticky vines are awarded which increase the possible win. All symbols that are a part of a win and all Wilds from the initial spin stick to the reels while all other symbols spin again. There are hosts of features and bonuses that make Jumanji a great game to play and they are explained below. Monsoon Wilds – One or two reels will be completely covered in Wilds. The fifth reel can never be triggered alone. Monkey Mayhem – Any potential wins are awarded once all the reels have stopped moving. Then, all symbols are randomly shuffled to create a guaranteed win. All these features with great graphics made Jumanji one of the top 5 slots of 2018. 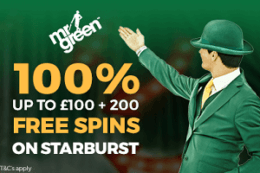 Another gem released last year was also from NetEnt, this was the “Berry Burst Max”, a sequel to Berry Burst and the free spins and bonuses made it one of the top 5 slots of 2018. Similar to the Berry Burst released earlier in 2018 but with higher volatility. This slot game makes the case for why NetEnt is one of the best developers in the market with this visually stunning game. 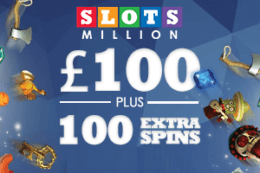 With a maximum win potential of 50,000 coins and a host of other bonus features with the possibilities of over 300 spins. Berry Burst Max is similar to Berry Burst. I think NetEnt was experimenting with a new game mode where they create one game initially with standard metrics and then create another game which has higher winning possibilities but with lower variance and lower RTP. Both versions of Berry Burst have a five reel by three-row setup and instead of using lines, NetEnt has stuck with the new game method of “cluster pays”. The cluster pay mechanics, designed by NetEnt started with Aloha!, the first cluster pay slot. In this mode, wins are awarded for clusters of symbols, hence the name. Berry Burst has an RTP of 96.56% while the Berry Burst MAX version has a slightly lower RTP of 96.23%. Visually, only a few games can rival or boast of the immersive well-designed graphics found in Berry Burst. The game is well designed with compelling eye-popping graphics. The high winning potential also makes it a game you need to at least play once. Though these games don’t feature the popular free spin rounds, there are different features that replace the lack of easy freebies. There is a possibility of free respins. The wild symbols pop up randomly on the reels of both version of the game. In this slot game, you can start your wager from as low as $ 0.10 to a a maximum bet of $50. The two version of the games work seamlessly on your phone and you are guaranteed unlimited fun. We think this game deserves to be on the top 5 slots of 2018 because of its winning potentials, simple mechanics and great design. This might just be NetEnt’s best game after the popular classic Starburst, released in 2012. Some might even argue that this is better than Starburst. If you ask us, I think they are right. You should definitely try to play both versions of the game and compare. With 117,649 possible winning ways, BTG (Big time Gaming) rocked the online slot industry last year. In this game, there are six flexible reels and as much as seven symbols. Extra Chili has a high return to player (RTP) of 96.82%, which means you will most likely receive about 96% of your total wager, this is a little bit above the average. The RTP doesn’t mean you will get 96% of your wager every time, but over time you will. Extra Chilis also has a host of bonus features, which include; Substitution Symbols, Free Spins, Gamble, Mega ways, Multipliers, Scatters and Wilds. The maximum bet coin win is 1,000,000. All this data coupled with the beautiful graphics has easily made Extra Chili earn a spot on our top five games list. Extra Chili uses the collapsing reels mechanics. You might have played games that employed this method before. Each winning combo will disappear to be replaced by more symbols falling in from above; then you can form more wins and this continues until there are no more possible matches. The game is made up of a wild symbol that substitutes other symbols, except the scatter symbol, and also there is a free spin scatter which finally appears in the last extra reel. 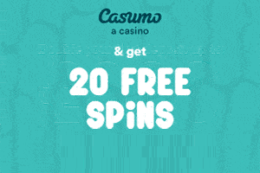 The Four Free Spin scatter symbols award players eight extra spins, while three of these give four extra spins! 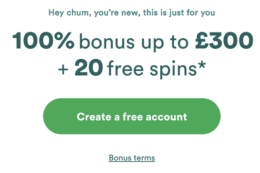 Also, another great feature in the Extra Chili game is the “free spins gamble” feature included, in this mode there is a display with a Free Spins Gamble Wheel which gives players the chance to win up to twenty-four free spins. The graphics are well crafted but still catchy, the music style also has huge potential. We’re writing this review on one of the coldest days of the year and the sunshine has never looked so beautiful. If you’re interested in some action to drive away the blues, this game can do the magic. Do you like high variance games? BTG specializes in these kinds of games, with Danger High Voltage also recommended. Definitely, Extra Chili deserves to be on the top 5 slots of 2018 list. Did you miss this game? Well, you can still play it on the official websites and play on casinos that support BTG games. Extra Chili is a great game and one of the games you must absolutely play if you are interested in Online Slots. One of the latest technological wonders that has become increasingly popular is Virtual Reality. Whether you have a Samsung Gear VR, Playstation VR, Oculus Rift or perhaps a Google Cardboard, you can put on your headset and enter a stunning and vibrant world of Gonzo’s Quest VR. Gonzo’s Quest VR takes place in a virtual world where the conquistador Gonzalo Pizzaro is looking for Eldorado, the mythical city of gold. Just as in the first version of the castle, players are invited to a fantastic world full of Aztec sculptures in a lush jungle as well as delicious pyramids and an animated version of the main character. Gonzo stands next to the wheels and cheers you up when you win while regularly checking the map to make sure he is in the right direction. The winning symbols in this version of the slot are not the same generic symbols that you might be used to seeing. In Gonzo’s Quest VR, the symbols consist of animal sculptures and wooden sculptures of various colors. It can be a little difficult to distinguish the different colors at first, but after a few minutes you have become accustomed to the visual impressions and then you can easily see that all symbols have different colors. There are a total of 7 winning symbols in the game, as well as a symbol in the form of a question mark that acts as a wild symbol. The Wild Symbol works by replacing all other symbols in the game to create winning combinations on the paylines. 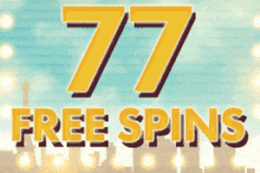 A gold symbol takes you to the free spins bonus round if you land three of it on the same payline. The gaming experience in Gonzo’s Quest VR is about what can be expected. The castle works just like the corresponding version without VR. The best feature of Gonzo’s Quest VR is activated after every win the player receives. When you win, all winning combinations are broken into crumbs in what is called an ‘avalanche function’ . The crumbs then disappear from the screen, allowing for new symbols to fall down and take their place. What is even better is that the multiplier increases every time the avalanche function is activated, which means that you can win more the more times you get a winning combo. There are not too many VR online slots in the industry, and its great to say the few VR slots doing well. Gonzo’s Quest VR is one of the top 5 slots of 2018 and easily the best VR game ever. Afterlife is one of the best slot games released in 2018, featuring a high return to player, about 96.5% you are always sure of a positive outcome. Afterlife was created by Leander games, a company is known for creating visually stimulating games with emphasis laid on speed and quality. Afterlife, was not short of that, in Afterlife you have the possibility of winning 8500x your initial bet in the max single spin mode. Released on the 22nd May 2018, Afterlife has become popular among people among online gamblers for its great graphics and high earning possibility. This slot’s theme is inspired by Durante degli Alighieri’s 14th century work, the Divine Comedy. The divine comedy is a long Italian narrative poem and is considered as one of the best literary works in the world. Your journey starts in the darkest corners of hell and after spinning the reels you work on making it to heaven. The great audio and visual effects permeate the slot, and you will definitely have fun with the array of features included in the beautiful game. The game features Wilds, scatters and symbols. There are also a host of features in the game. In Afterlife, the Wild symbol in the game replaces all other symbols except for the Bonus and the Scatter. All wins with Wild substitutes usually will be doubled. Hell’s Gate is the Scatter and if you land 3 or more of those anywhere on the reels, you will trigger the bonus selection screen, and you will get to pick one out of 3 features to play: Inferno, Paradise or Purgatory. Each feature awards a certain number of spins at the start. In Afterlife, you can set your coin sizes which range from 0.01 to 10. Inferno awards 15 spins with a random multiplier that ranges between three times (3x) and fifteen times (15x) in every spin. There is one important feature you need to know, the “When Hell Freezes Over” feature. When this is triggered, you get up to five wild reels which will be added to the screen. After your earnings are paid out, and Wild on the screen will become a wild reel, and you will be awarded a re-spin with any wild reel frozen on the screen. Re-spins usually will continue until there are no regular Wilds left on the reels. Wild reels will not double winnings. Interested in playing. Afterlife definitely deserves the fifth spot on our top 5 slots of 2018 list. That’s the list of the games that made it big in 2018. There are also lots of notable mentions like; Birthday by ELK Studios, Dwarfs Gone Wild by Quickspin, the mega themed game and loads of other games. 2018 was definitely a busy year with lots of games springing up. A similar trend will occur in 2019, with the big studios opting for new mechanics and experimenting with different play modes. What we liked more about 2018 was the fact that a lot of these games support mobile play which is great for mobile players. It’s always fun if you can play your favorite casino game in the bus on your way home or when you’re outdoors with a friend. In the end, what’s more important than winning is having fun, and with these games you are guaranteed fun. 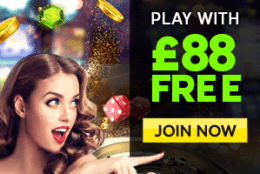 In 2019, there will be definitely lots of online slot releases and more beautiful themed games with companies trying to attract game players with tantalizing bonuses and features. Like every slot game, the most important tip and tricks are usually trying out the game in the demo mode before playing. Most games have this mode where you can play around the game mechanics and slowly understand before you start betting with real money. Also, we will have new and better-improved paying methods and more importantly withdrawal methods. There will also be a growth of Bitcoin slot games with more casinos opting for the cryptocurrency mode of payment. It was a really good and interesting year for gaming and we expect that 2019 will be even better.